Binoculars with Camera and Video Built-In - Any Good? Binoculars with Camera and Video Built-In: Are They Any Good? We have had many ask about getting binoculars with camera or digital video built-in so we decided to take a look at the current model options. Among the optic brands that have attempted to produce a binocular camera include Vivitar, Barska, Bushnell, Sharper Image and Nikon. Among the manufacturers that have been able to make an awesome pair of digital camera binoculars: Perhaps 1 - in our humble opinion. 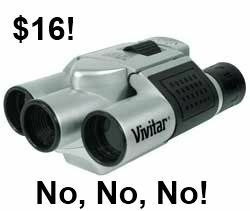 Vivitar offers a binocular digital camera for $16. Need I say more? At best, this would be a cheap play toy for your child. I am shocked to read reviews by people who bought this camera and are disappointed. Let's just say you need to spend more if you want any kind of quality in the binoculars or camera. There may be one or two under $100 you may be satisfied with, but expect to pay at least $200 to get a semi-decent pair that will act as a "good" pair of binoculars as well as a camera. Low-quality photos: Most users complain they cannot get clear, focused photos. Most of these camera binoculars would need to rest on top of a tripod to get in-focus photos. 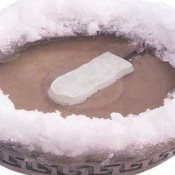 Short battery life - some lasting as little an hour and cosume battery life even in the "off" position. Binoculars are typically not very high quality, with longer close focus distance, small exit pupil and small Field of View - especially not good as birding binoculars. Are heavey and bulky to carry around. 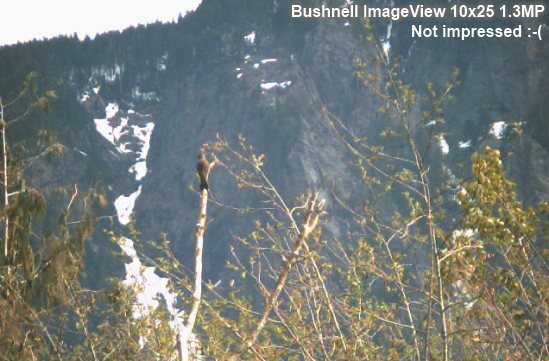 The below photo was taken by the Bushnell ImageView 10x25 Binocular Camera with 1.3 megapixels. I don't know about you, but I would be disappointed with these results. I would want to be able to zoom in much more and see lots more crisp, clear detail in the photo. I cannot say there is one particular binocular camera that stands out as being the best. On the more expensive end, some have liked the Bushnell Binocular Camera Instant Replay Series, but reviews have been mixed. Busnell's other series is ImageView, which have several models under $100, but they too have had mixed reviews. In conclusion, I would say don't buy this mulit-tasker because it isn't particularly good at being binoculars or a camera. In most cases, you will get better photos taken with a cell phone. When I go out hiking, I have my Nikon Monarch's attached to my binocular harness and my camera either around my shoulder in the case or in my front big cargo pocket. Never had a problem with either disappointing me. I'd say hold off on the binoculars with camera and/or video until the combination technology improves. 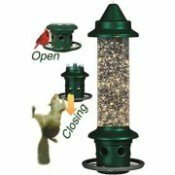 This especially holds true if you want to use them for bird watching. If you want to take them to a sporting event or something similar, then you may feel they will suit your needs just fine. Just know and be aware of their limitations. Of course, I haven't personally reviewed every binocular camera out there so if you have come across one you like, tell us about it. 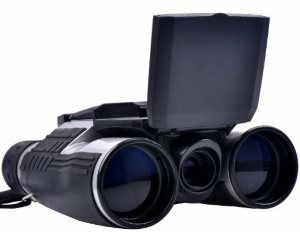 If you are looking to get a great pair of binoculars, browse our Binoculars 101 pages for information on how to choose bird watching binoculars and what to look for in specifications - this is also a good overview even if you are using binoculars for other purposes such as hunting or any outdoor activities. 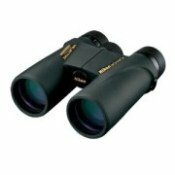 Here is our list and review of best binoculars for bird watching by price range (under $200 to $1,000). You may want to give digiscoping a try too.